“Less than a week left before Christmas and my tree isn’t fully decorated!” That is the thought that kept circling around my head all day. 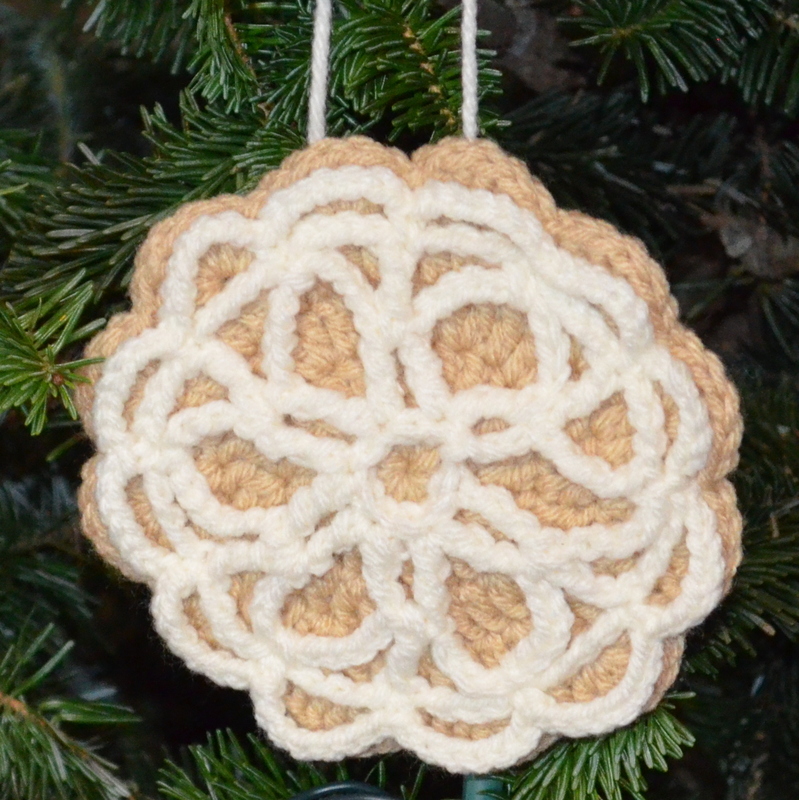 And good thing because it gave me the boost I needed to get down to business and finish making my ornaments. I realised halfway through putting up the few ornaments and the crochet baubles I made that the tree didn’t have lights on it. And another realisation hit – I didn’t actually have tree lights. So, even though I said I wouldn’t buy any decorations for the tree, I did have to purchase a set of tree lights. 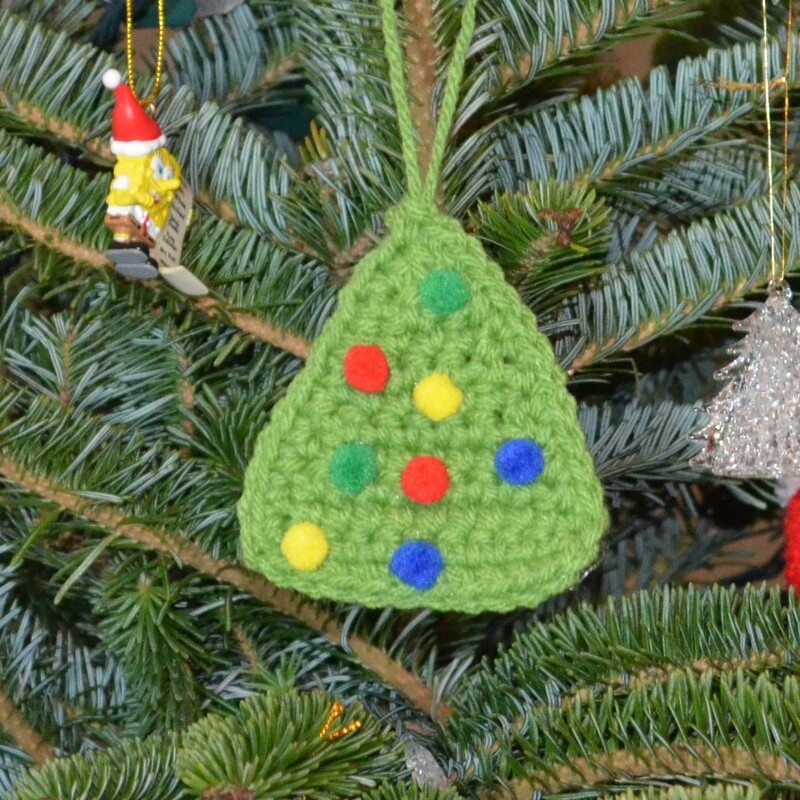 For the ornaments I came across so many beautiful and fun patterns but the ones I fell in love with were the Christmas cookie crochet patterns on Squirrel Picnic and this Christmas tree applique on Repeat Crafter Me. From Squirrel Picnic I chose to make the the Pizzelle and I’m (still) finishing up the lamp from A Christmas Story (isn’t it awesome?). 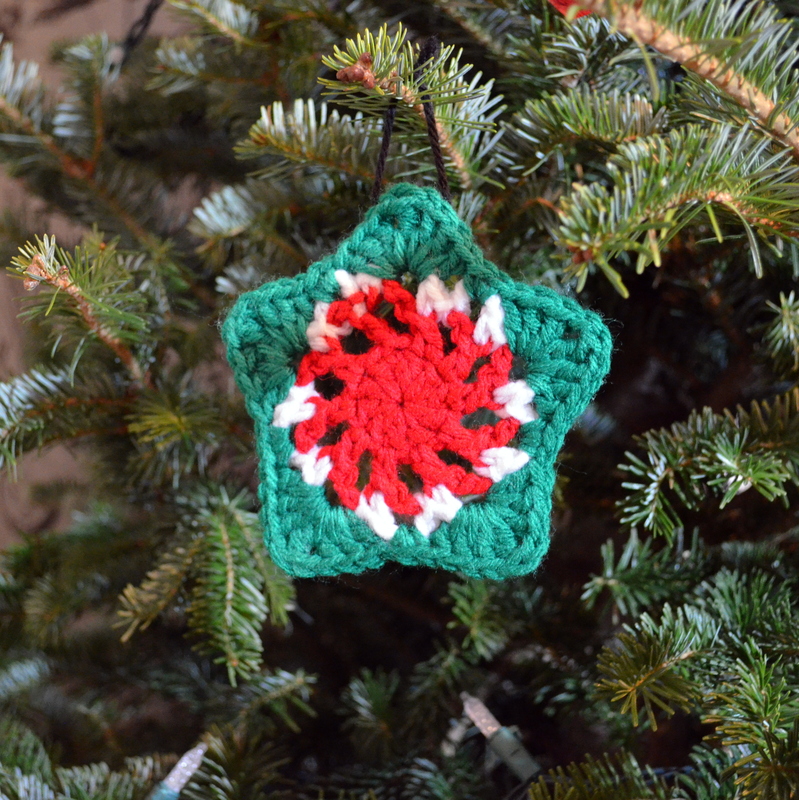 I also used a few of the Christmas star coasters I crocheted. Now I just need one finishing touch and the tree will be done. Check back tomorrow for the final addition! That pizzelle looks awesome. Thanks for making it!